We need licensed Mental Health professionals and horse walkers for therapy sessions. Cash donations really help us. Any amount helps us make a difference. We would love a parcel of land where we can start a ranch with horses for children. We love partnering with local businesses to make our community better. 3 Wings of Life is a faith based, non-profit organization, dedicated to embracing the unique needs of the children in our community. Children today are faced with a multitude of challenges and choices. We strive to offer all that we can to affect them in a positive way by providing Equine Assisted Therapy, along with a variety of activities that teach life skills in a Christ- centered environment. “Those who are sad now are happy. Because God Will Comfort them…..Those who want to do right more than anything else are happy, because God will fully satisfy them. Let us think about each other and help each other to show love and do good deeds. There are times when we are called to give money to people who will never say thanks, to forgive those who won’t forgive us, to come early and stay late when no one else notices. Lift up our eyes Father, that we might see our world as you see it. Help us respond as you respond to the hurts around us.” ~ Max Lucado, God’s Inspirational Promise Book. Imagine a tragic plane crash in Arizona on Thanksgiving Eve. Three beautiful young children and their father are killed and taken from this earth. It happened to Karen’s family in 2011. Out of the ashes of the wreckage along with unimaginable loss and pain…love and life still exist. 3 Wings of Life is born from this tragedy. The Superstition Mountain Museum has graciously set aside a beautiful outdoor spot where the memorial sculpture will be located. It sits on a knoll above the museum building and looks upward adjacent to the mountain (and crash site). The purpose of the plot of land will be to place a memorial sculpture there. Sculptor Louis Longi of Laguna Beach is an accomplished artist, and has donated his time and expertise for this memorial. Louis has several public works of art displayed throughout Southern California and will be unveiling his prototype at the event. We will be raising funds to cover the cost of the sculpture which is estimated at $68,000. To Donate for the memorial sculpture go to the Superstition Mountain Museum website. Donate buttons on this website will benefit Wings of Life exclusively. We will also be raising money for “Wings of Life” a 501 (c) (3) non-profit that I started to help disadvantaged children. In Memory and recognition of all who have lost their lives in air crashes in the Superstition Mountains near Apache Junction, AZ. “The Ribbon of Life” sculpture is an impressive 6’ tall memorial piece of art. The display will incorporate pieces of the wreckage recovered from the 2011 plane crash of the Turbine Commander. The sculpture will recognize all who have perished in air crashes in the Superstition Mountains near Apache Junction, AZ. It will reside atop a hill, adjacent to the beautiful memorial bench, overlooking the majestic mountain at the Superstition Mountain Museum in Apache Junction, AZ. This will be the final resting place for the ashes of my children who lost their lives in the 2011 crash. The sculpture will be a historical gift to the community and my last gift to my children and their father. Native Air Ambulance (Air Methods) pilot David Schneider, 51, of Gilbert, and flight nurse Chad Frary, 38, of Gold Canyon were fatally injured when their Airbus 350 helicopter crashed into the Superstition Mountains near Globe, AZ. Derek Boehm, 38 a medic, survived the accident and was critically injured. The NTSB investigation is still underway and more information about this accident will be available at a later date. My three children Morgan 9, Logan 8, Luke 6, and their father Shawn 39, boarded a Turbine Commander in Mesa, AZ bound for Safford. The plane was owned by Ponderosa Aviation and piloted by Shawn’s business partner Russel Hardy. The passenger Joseph Hardwick in the right seat was just going along for the ride that night. They were only airborne for six minutes and then they were gone. The pilot took off from Falcon Field in Mesa, became disoriented in the darkness and flew into the side of the Superstition Mountain near Flat Iron instantly killing all aboard. Lt. Stone was a member of the 3525th pilot training squadron was on a routine solo training mission out of Williams Air Force Base in Arizona when the crash occurred. Witnesses East of Mesa and in Apache Junction said they saw a huge fireball that lit up the west face of the mountain, apparently when the aircraft hit a cliff at the 4300 foot level just 700 feet below the summit of the Superstitions. Air Force Cadets, Kenneth Kirkman and Joseph Freeman Jr., were killed when their T-6 trainer crashed in the Superstition Mountains 16 miles northeast of Williams Air Force Base. The aircraft was being flown “under the hood” by Cadet Freeman when it flew into a steep ridge within the Superstitions. Wreckage is scattered for half a mile. “Life if much like a ribbon in the wind; it is blown in many different directions as in our day to day lives. Like life, it can float gracefully during good times and fly out of control during turbulent times, ups and downs, ebb and flow. On this ribbon of life will be memorable photos showing all that view a life of love and joy. The ribbon will reach towards the sky that represents their passing and allowing their spirit to blow up to the clouds and heaven. appreciate your support. Any amount helps and your donation is 100% tax deductible. All funds donated on this site will be given to the Superstition Mountain Museum in Apache Junction, AZ and placed in the “Wings Sculpture” account to pay for the cost of materials and incidentals for the sculpture. Angels Three: The Karen Perry Story. They were airborne for six minutes. And then they were gone. 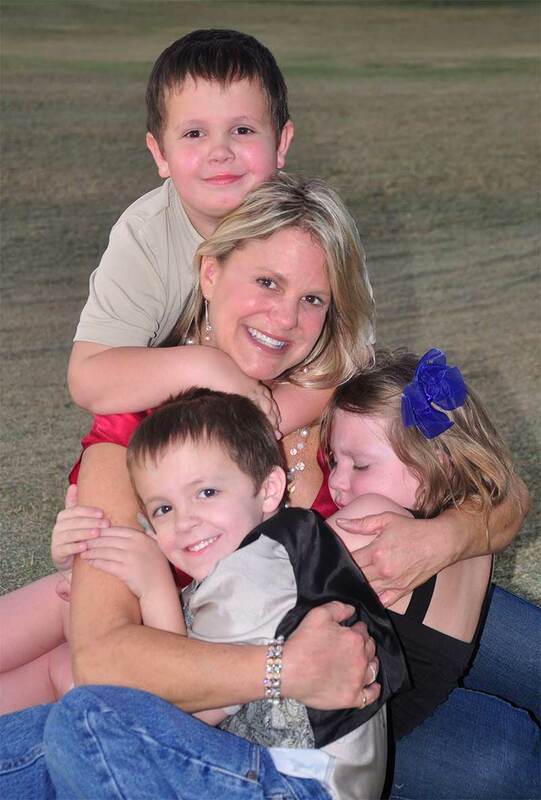 On Thanksgiving eve 2011, Karen Perry’s life changed forever when her three young children and their father died in a plane that crashed into Superstition Mountain in Arizona. The story made national headlines. Everyone wanted to know: how does a mother comprehend such pain? This is her tragic, and ultimately hopeful, story of perseverance in the face of unimaginable loss. Angels Three: The Karen Perry Story Is available on Amazon or wherever books are sold.